NEW BRITAIN - A Nevada man who was a member of a locally based cult has had his murder case continued to May so his lawyer can obtain files from federal agencies. Rudy Hannon, 72, will next be seen in New Britain Superior Court on May 1. 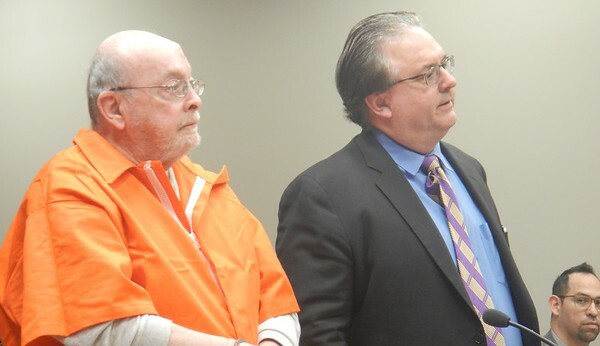 He is charged with murder and murder/commission of a felony in the 2004 killing of Paul Sweetman, a “Chief Apostle” in the 1970s cult started by Brother Julius Schacknow. Sorek Minery, 42, of Burlington, is also accused of participating in the killing. He faces the same charges as Hannon. Hannon’s attorney, J. Patton Brown, did not say in court which federal agencies the files would be coming from. The warrants for both men’s arrests say Hannon spoke to the FBI about the case. The agencies have to put a restrictive order on the files so that Brown uses them only for Hannon’s case and doesn’t share them, Brown said. According to the warrant for both men’s arrests, Hannon convinced Minery that Sweetman, of Southington, was hurting his wife, Joanne, believed to be the “Holy Spirit” by cult members, and that Paul Sweetman needed to be killed. Minery allegedly beat Sweetman. Then he and Hannon stuffed his body into a freezer at Minery’s shop in Plainville, the warrant said. Minery then allegedly dismembered Sweetman’s body with a saw and disposed of the pieces in various places in New Britain. Sweetman’s leg was found by New Britain police a few months later, but detectives didn’t crack the case until 2016, when a lieutenant in the Criminal Investigations Division noticed that Sweetman had been reported missing around the same time the leg was found. The investigation led police to find Sweetman’s torso buried under a shed that Minery owned in New Britain. Hannon remains in custody on $2 million bond. Minery is due back in court on April 25 and also is in custody on $2 million bond. Posted in New Britain Herald, New Britain, Southington Herald on Thursday, 28 March 2019 20:30. Updated: Thursday, 28 March 2019 20:33.